When the pleasant South Florida weather rolls around, you want to be able to open up your house and let the cool breeze and sun in. But with warmer weather always comes bugs, high heat, and humidity. To avoid this, many Floridian’s will keep their doors and windows closed up, letting the entire spring, summer, and fall go to waste. With one of our retractable screens, it is easier than ever to keep those nasty bugs out while still enjoying the outdoors. We have screens for every location, for patios, doors, windows, garages, and even commercial shipping docks. 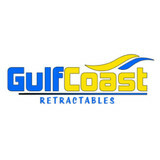 Gulf Coast Retractable Screens, serving the Tampa, St. Pete, Clearwater, Sarasota, and surrounding areas of Florida. International supplier of hardwood decking. The lines of Advantage Decking include Ipe, Cumaru, Tigerwood, Massaranduba, and Garapa. We can also ship over 70 species of domestic and exotic lumber and flooring to homes and jobsites around the world. 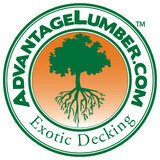 Advantage Trim & Lumber Company is a global leader in wood decking, lumber, & flooring materials. Since 1992, courteous service, helpful advice, and attention to detail have been the reasons why customers from across the globe purchase our materials. Throughout Brazil and South America, our lumber mills manufacture premium grade decking and lumber including Ipe, Cumaru, Tigerwood, Massaranduba, Garapa, and more. Every decking order we fulfill is compliant with the LACEY Act and the standards set by international agencies such as IBAMA. You benefit from our entire manufacturing process because you get the highest quality decking and lumber products at the lowest possible cost. From domestic North American hardwoods to richly colored Exotics from around the world, no other lumber company offers you over 70 of the world's finest species of hardwoods. We custom mill a variety of products and are fully-equipped to fulfill your custom lumber needs. We have 4 locations nationwide and work with homeowners directly and other industry professionals. At our Florida and California locations you can come view the mill and work directly with us! Please contact us directly for more information and we look forward to working with you. 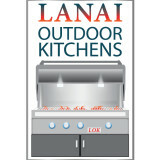 Lanai Kitchens designs, sells and installs outdoor kitchens using Werever outdoor cabinetry - the same cabinetry used in many HGTV and DIY programs, such as Yard Crashers, Extra Yardage and Kitchen Crashers. These outdoor kitchens are custom designed to fit your outdoor space… no matter how big or how small. Your outdoor kitchens can be designed, manufactured and installed in just a few short weeks, with absolutely no mess or hassle. These cabinets are completely weatherproof, meaning they can be installed outside in direct sunlight, right next to your chlorinated pool, or at the end of your dock next to the salt water. We offer high quality outdoor kitchens designed to make a stunning statement in your backyard. We use top of the line materials to make our outdoor kitchens. The frames are built with galvanized steel and outdoor rated cement boards that will last a lifetime. We only use 100% genuine stones for the sidings and countertops. We have dozens of colors of siding stones and granite to choose from. We are also Bull Grills and components direct dealer. Contact us for a free estimate and custom 3D design. Our attention to service and detail has made us an industry leader in the paver and interlocking concrete business in Lakeland, Florida, and all surrounding Polk County area's. 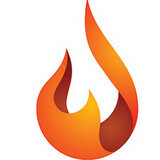 Learn more about our company on the following pages. With a wide range of paver services to choose from, you're sure to find exactly what you're looking for! If you require assistance, our qualified staff will provide you with expert guidance with all your paver and interlocking concrete needs. We offer a wide range of exclusive paver products and paver solutions at affordable prices. Our certified paver installers only work with the highest quality products to provide you with the highest quality job. Waller Pavers - Quality Service - Quality Installation - Quality Price. Guaranteed!! 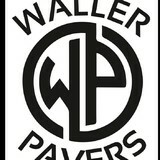 At Waller Pavers, We Pave, You Save! Collins Construction is a State Certified General Contractor specializing in Design Build Wood / Composite Decks, Railing, Stairs, Arbors, Boardwalks, Dock Remodeling. State Lic. CGC1508214, fully insured a builder who you can trust to get the job done right. Call us today for a free consultation and estimate at (727) 251-6900. Collins Construction is the leading deck builder in the St. Petersburg, Tampa, Clearwater and Sarasota cities of Florida. We are an award winning deck design firm with over 30 years of experience in residential and commercial Exterior construction specializing in Decks, Boardwalks, Gazebos, Arbors, Pergolas, Pavilions, as well as Deck and Dock Remodeling. Let us help you plan and build your dream backyard project. WE CREATE THE FINEST OUTDOOR LIVING SPACES IN FLORIDA State Certified Building Contractor (CBC-043160) will design and build your Outdoor Living Space. We offer tailored 3D designs of your new Outdoor Living Space which can include an Outdoor Kitchen, Fireplace, Fire Pit, Water Feature, Pergola and other Outdoor Living Features that will allow you to enjoy the beautiful outdoors. Our Outdoor Living Features are constructed out of 100% non-combustible concrete. Unlike metal studs or pressure treated lumber, our projects will never rot, rust, warp or burn. The highest quality American-Made Products and construction materials available are used to create top-notch Outdoor Living Features. Let Cookin' Outdoors design and build your Outdoor Living Feature that will be enjoyed by your family and friends for many years to come. View our Outdoor Kitchen at the Inspiration Center at Tile Outlets of America on Hillsborough Avenue in Tampa, Florida. We are the experts in Outdoor Kitchens and Outdoor Entertainment Areas. Creative Outdoor Kitchens has over 20 years of experience and thousands of installations. We pride ourselves on the quality of our construction and customer service. Whether you are in need of a custom summer kitchen, an outdoor fireplace, fire pit or fire table, we are the one and only call. Let us come out and provide a FREE estimate and show you a 3D Cad design of the area. We are Florida contractors specialized in pool cage painting and pool cage rescreening. 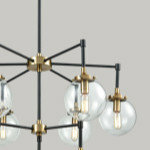 We offer great prices according to your comfort with a warranty of 5 years. We provide high quality of work in pool enclosure painting throughout Florida at competitive prices. Our free estimates are provided quickly and we can paint and rescreen your pool cage with extreme care and professionalism. Tell us exactly how you want your pool enclosure to look and we will make it happen. Specializing in Marine construction (Docks, seawalls boathouses and aqua-scaping) landscaping, and general maintenance for your home. A new deck can make the difference in your outdoor living areas. Jason Nix LLC provides complete deck construction, from design to completion. We offer quality craftsmanship to ensure the integrity of your new deck. A new deck construction can greatly enhance your home. A deck can create the perfect place for outdoor entertaining, summer parties, and barbeques. Many homeowners don’t fully utilize outdoor living areas, but a deck can help bring your family outside and provide a place to soak up some sun and enjoy the beauty of nature. A quality deck can also enhance the appearance and value of your home. Let the professionals at Jason Nix LLC design the perfect deck to complement your home. At Jason Nix LLC, we use only the finest materials to construct your new deck. Some of the materials you can choose from include the following: Wood Composites Both options have different advantages. To learn more about the quality deck construction materials we use, please contact us. We can answer all your design and materials questions and help you choose the best options for your new deck. 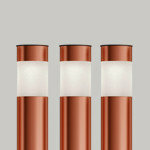 Shade and Shield manufactures and installs a full range of products to meet your needs. We have a full range of Hurricane Protection products including roll shutters, screens, and panels that cover just about any size opening and budget. We also specialize in improving your outdoor living space with retractable insect and sun screens or retractable awnings. Our company’s conception has been driven by a love for the outdoors and our passion for renovation and beautifying our surroundings. 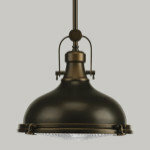 Our craftsmen are experienced and provide a quality that can only be realized when one truly loves their work. Carpenters and masons by trade, we share a common appreciation for nature and are always pleased to create spaces that enable you to enjoy the outdoors without leaving your home. Within the company we all have our strengths and when brought together, we have been part of some of the finest projects in the bay area. We take pleasure in building a personal relationship with all of our customers regardless of the size of the job. Our employees are happy to take the time to answer any questions you may have and we are receptive to the needs and desires of our customers. We are guests at your house and it is our pleasure to be a part of your project. At Outdoor Oasis there are no special requests we aren’t happy to accommodate. We are a owner operator installer based company. Because of this we are able to provide you with a level of personal service not available elsewhere. Please feel free to contact us with any questions you may have. Bayside Screen Repair is a Licensed, and Insured Screen Repair Service. 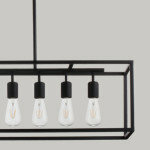 Being locally owed, we strive to be sure our materials are proudly made in The USA. not only for patriotism but the quality of our products as well. We offer full re-screening services in the Tampa Bay area including Dunedin, Palm Harbor, Tarpon Spings Safty Harbor Clearwater in the Hillsbourgh, and Pinellas county areas Offering a wide variety of screen material selections, ensuring you get the features desired to protect you from insects, reduce solar heat gain, prevent pet damage, while providing superior visibility and ventilation. Our Tampa based screen repair service offers superior work with competive prices. Contact Us today for a free estimate! What services do deck and patio builders in Saint Petersburg, FL provide? To help you choose the ideal style, configuration and materials for your deck or patio, your deck and patio contractor will survey your Saint Petersburg, FL lot and your home to come up with a design that complements your exterior as well as being structurally sound. He or she will recommend sizes, heights and construction materials that suit your lifestyle and climate, as well as explain the best stain or finish options. Additionally, deck and patio professionals can provide insight into additional components such as outdoor kitchens, patio covers, fire pits, outdoor lighting, arbors and more. Your deck and patio professional might work closely with another Saint Petersburg, FL lawn and landscape professional. Here are some related professionals and vendors to complement the work of conservatories & orangeries: . Find a deck and patio builder in Saint Petersburg, FL on Houzz.